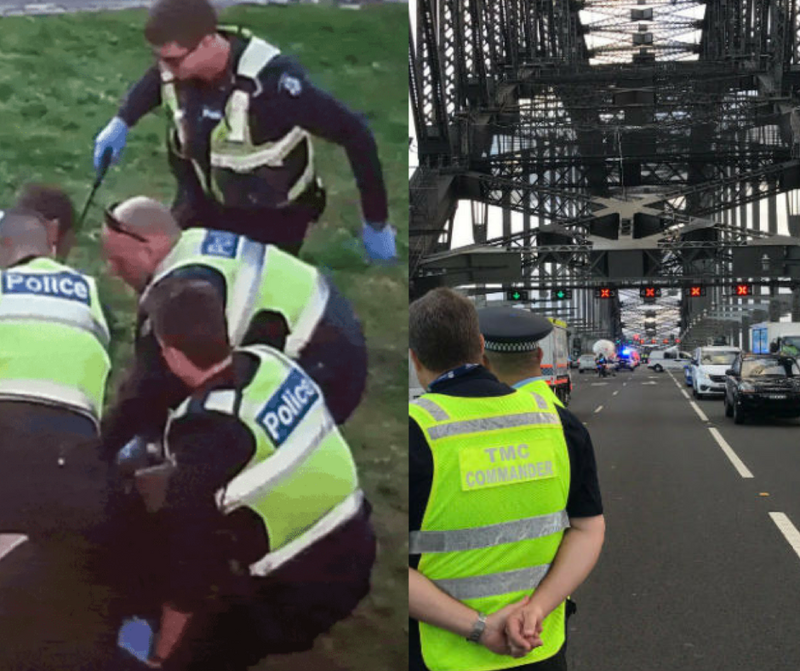 Wednesday morning traffic was ground to a halt in Sydney as a man climbed onto the Sydney Harbour Bridge, closing multiple lanes of traffic. As the NSW Police cordoned off lanes, they struggled to manage the situation, deciding to bring in their Victorian counterparts to help aid the situation. Within a matter of moments, the Victorian Police had brutally and relentlessly beaten the man to an inch of his life and removed him from the Sydney landmark. Attending officers even managed to get a quick selfie to add to their collection. “Yep, we just haven’t got the same level of training as those Melbourne blokes”, commented a NSW Police spokesperson, “I mean, we would have tried using out-dated tactics like talking to the poor sod”. The Victorian Police managed to bring the situation to a close quickly and efficiently, only requiring four and a half cans of pepper spray and eight batons to subdue the man. “To be honest, we were up here in NSW for a Police Inter-State Baseball tournament anyways”, stated Brendon Asher of Vic Police, “I guess we got a bit of practice in regardless”. The police activity signifies the closer workings of state law enforcement, with Victorian police offering to help “put the brutality back into Police Brutality”.